Our co-founders, Garett Brennan and Ethan Knight each bring more than a decade of experience to FOCUS. As the executive director of Focus the Nation between 2008-2013, Garett helped more than 1.5 million young people get engaged on climate. In 2011, after several years of running campus-based engagement campaigns for youth, FTN redesigned its approach to programming to focus on experiential education, collaboration and leadership development—helping young people experience first hand the impacts of climate and an energy grid transitioning toward renewables around the Mount Hood and Columbia Gorge region. Ethan brings his expertise of building and running gap year programs across 15 different countries through his work at Carpe Diem Education—a gap year organization he founded in 2008. In 2015, Ethan also founded the Gap Year Association, a partnership with the US Department of Justice and the Federal Trade Commission to set the official national standards certifying the quality, safety and operations of the growing gap year market in the US. FOCUS Climate Gap Year is the evolution of both their passions—a bold vision to help young people learn about climate first hand, travel with a cohort, earn credit before college and develop the relationships they will need as they embark on a path of building stronger, more resilient communities. Garett co-launched the national youth climate organization, Focus the Nation (FTN), in 2008 as their brand director. He redesigned the organization as their executive director in 2009 to better meet the leadership development and collaboration needs throughout the youth climate community and renewable energy and climate workforce. He left FTN at the end of 2013 (after placing the organization in hibernation) to launch Three Pin Strategy + Design that has helped a range of clients such as NASA, NIKE, the Packard Foundation, Surfrider Foundation, Conservation Alliance for Sustainable Seafood, Clif Bar, Travel Oregon and others re-think, re-design and launch programs to strengthen their networks. Garett is also a highly active musician, songwriter, outdoor enthusiast. Ethan launched Carpe Diem Education in 2008 as one of the first gap year organizations in the United States. After growing the company into a $2.4m operation across 15 countries, he hired a new leadership team in 2015 and launched the Gap Year Association in partnership with the US Department of Justice and the Federal Trade Commission. GYA serves as the verifying body of Gap programs across the US to ensure they are meeting the highest standards of safety, education and credit-bearing initiatives. Ethan frequently travels the country speaking on the benefits of gap year educational experiences to families, students, campuses and communities. Brian Hufft specializes in leading companies through strategic changes. He has spent the last ten years helping founders and executives of high growth companies complete fundraising, leadership transitions, strategic initiatives, and exits. During his consulting career, Brian served in roles including CFO, GM, and Director level positions for fast growth companies in the software, electronics, and professional services industries. He has helped raise over $45M in investment from VC funds and angel investors and completed M&A transactions in multiple industries. 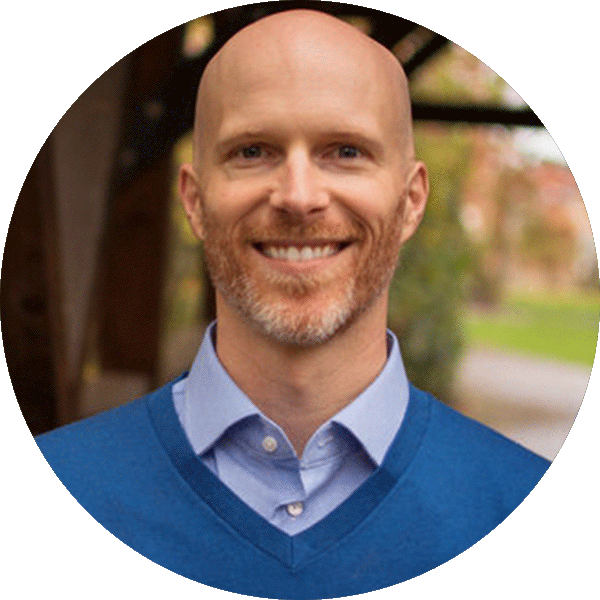 He serves on the Board of Trustees for Willamette University in Salem, Oregon and is passionate about finding new ways to help tomorrow’s leaders get the educational experiences they need to build stronger communities. Britt is a socio-environmental applied scientist, educator, and visual storyteller. With experience in more than 40 countries, she assists subsistence-based communities in tackling the challenges of climate change through her work at Ecothropic. She has worked with a range of organizations from the United Nations Development Program to National Geographic and thousands of university and high school students over the last nine years, designing and instructing seminars, field studies, and study-abroad curricula. As a visual storyteller, Britt is a photographer and writer associated with National Geographic. Her other publications include the Washington Post, The New Zealand Herald, and the Outdoor Journal. She has an MSc in Human Dimensions of Natural Resources with an emphasis in agro-ecology, watershed management, and community engagement; an MSc in Conservation Leadership; and a BA in Anthropology. Britt is currently working on an interactive climate adaptation film series, Bae Yumi Stori, which helps indigenous communities become more resilient to the climate change related challenges they face by fortifying traditional culture through the power of collaborative storytelling and film. She is fluent in English and Spanish. Jenny has an M.A in International Development, a B.A in Psychology and English, and 5 years’ experience coordinating global development programs in lower-income countries. In 2017, she co-founded a non-profit for women’s empowerment (WECO) that collaborates on needs-based community projects in Costa Rica, Cambodia, and Peru. She is a versatile practitioner with a passion for creating authentic volunteer opportunities and community development projects; overseeing international education programs; women's empowerment; quality content production; and responsible travel. Jenny has studied, traveled, and worked in over 40 countries, and is an avid hiker, cyclist, tennis player, reader, writer, and lover of nature.